Google Sheets are powerful, though like any tool, some of the most helpful capabilities take time to discover. 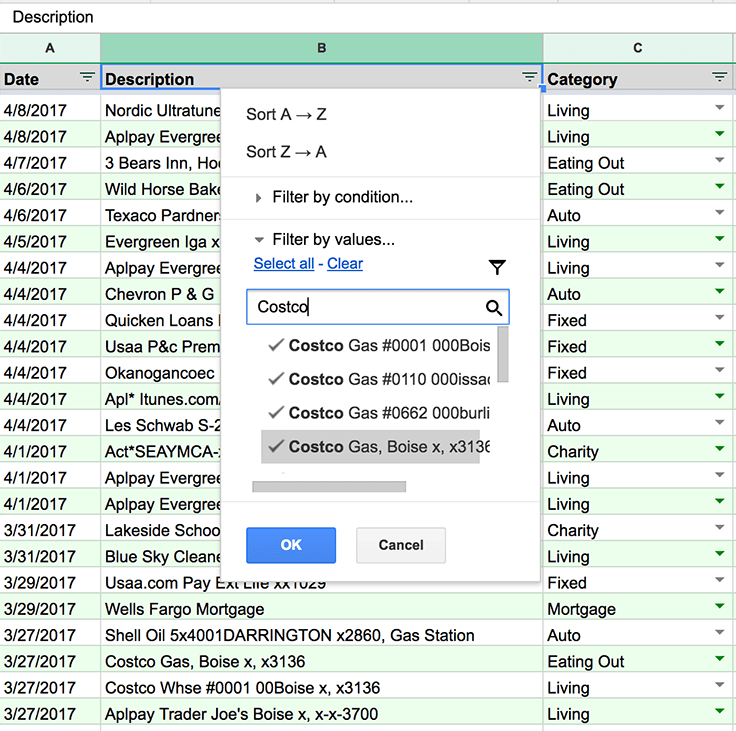 Here are five of our favorite features that we regularly leverage when using Google Sheets with Tiller to budget, track spending, and generally manage our personal finances. 1. Fine tune your financial transaction tracking with filters. Filters are awesome when you want to dig into the details of your transactions. If you need to find a transaction from a specific merchant you could use the search feature of the filter to narrow down your list. Then filter your transactions to find all spending that was greater than $100 or quickly zoom in on spending for a specific category, month or year. The filtering options in Google Sheets are pretty robust so the possibilities are limitless. Learn more about filtering your Transactions sheet on our help center. 2. Quickly review finance data using Google Sheets sorting. You can sort any of the columns in the Transaction sheet using the column header whether the filter is turned on or not. Sorting options include sorting A → Z or Z → A. For example, to put the latest transactions at the top, sort the date column Z → A. Another handy trick is to sort Descriptions alphabetically if you want to quickly categorize everything in a new spreadsheet. Learn more about quickly categorizing groups of transactions. 3. Split your transactions across multiple categories. We all know that the trip to Costco or Target doesn’t always include just groceries. 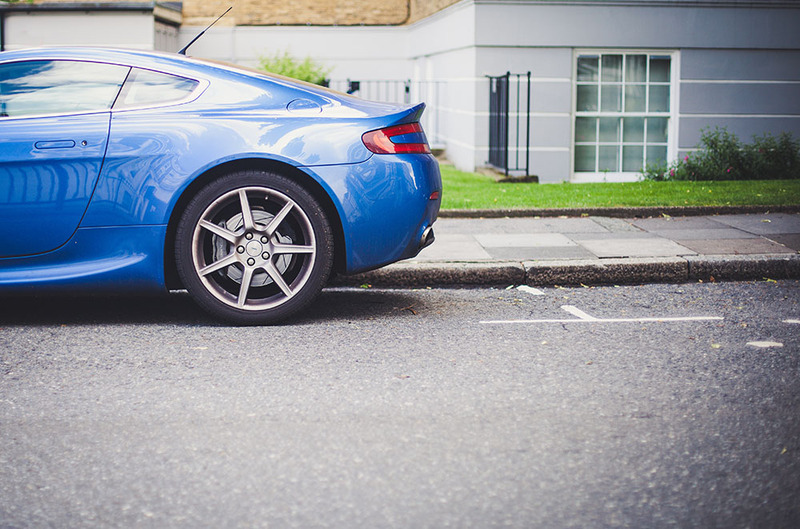 If you picked up new tires, you might want to add them to your auto-related category. We built a handy Google Sheets add-on that makes this a snap. After you install the add-on you can then select any transaction and split it into two or more transactions. Read more about how to install and use the add-on here. 4. Pivot tables make organizing your finance data a breeze. Pivot tables are a powerful built-in feature of Google Sheets for organizing your transaction data into numerous views to create a custom money management dashboard. You can create one to display your monthly spending for all (or just some) of your categories. You could create one to tell you how much money you’re spending on gas or fast food each week. A third one could tell you how much you spent across all your categories between last year and this year. They’re easy and quick to build and they can really share some insights about your spending habits. Learn how to create a monthly spending pivot table to get started. 5. Collaborating on finances is fun. Google Sheets inherently makes it simple to share your finance spreadsheet with anyone else who might need to see it. Perhaps it’s your business partner, your spouse or teenager. 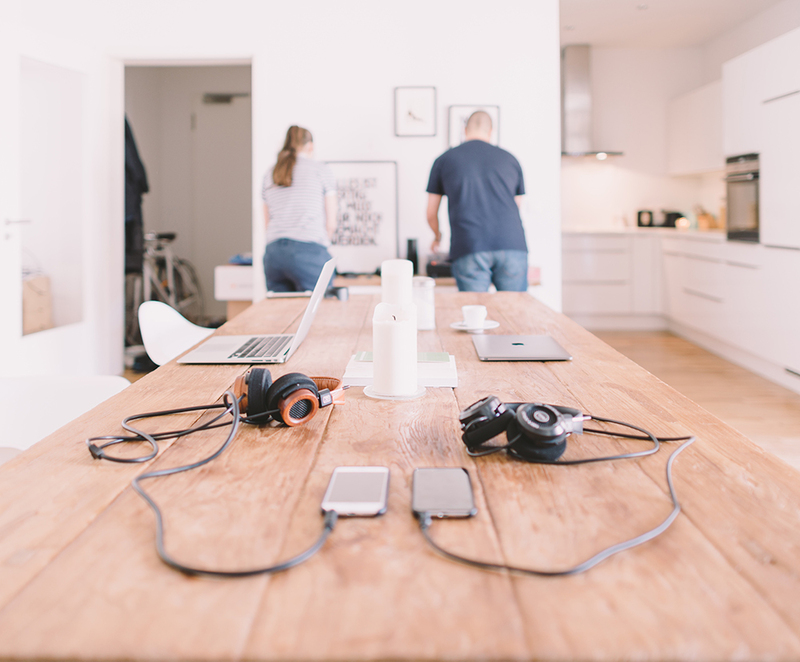 Quickly and easily share your Tiller spreadsheets so you can work together on finances. Sharing among Google account users is the most secure way to share, but you can also opt-in to make your sheet available using a link for non-Google users (or anyone with the link). You have the capability to fine tune the sharing permissions, allowing some to view and others to edit. Learn more about collaborating on your finances with Google Sheets. Sign up for a free month of Tiller Money, the only service blending the power of spreadsheets with the ease of an automatic feed of your financial transactions. I don’t have a Google Account.